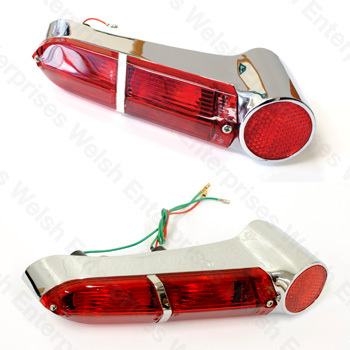 E-Type (1961-1968) roadster taillight assembly pair. Show quality chrome done in the USA. Manufactured in the UK.